An infants' sneaker with flashy iridescent details. 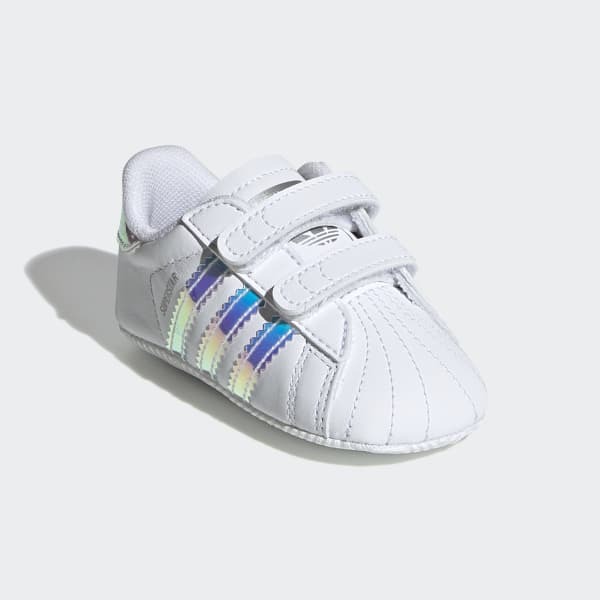 These infants' shoes are a miniature version of the adidas Superstar trainer, right down to the iconic shell toe. The soft and flexible leather upper hugs the tiniest feet. Iridescent details reflect the light. Hook-and-loop closures make them easy to put on and take off.